We've also thrown in five Renuzit® Air Fresheners, so you can keep your classroom smelling fresh. 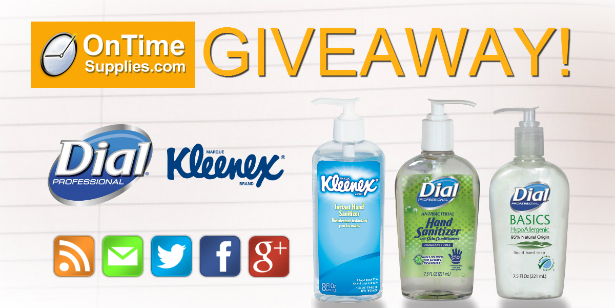 How to win $2,100 in FREE School Supplies from On Time Supplies. Remember, you have to complete each step to submit a valid entry. That means you must subscribe + share + comment to be eligible to win. So make sure you do all three before the contest closes. The more places you subscribe and share, the more chances you have to win. You can enter up to five times. Just be sure to leave a comment here telling us where you shared the giveaway so we can count your entry. My favorite teacher was Mrs. Cometa she was wonderful kind, and made class fun.